Saratoga Performing Arts Center (SPAC) in Saratoga Springs is hosting its traditional Winter Ball this Saturday, February 28 at 8 p.m. The theme this year is Black & White Vintage Hollywood – what can beat that? Hollywood inspired food, music by the New York Players, a Classic Hollywood Costume Contest are among the evening’s highlights. We hear that the event is sold out, but keep in mind for next year. More information about SPAC at http://www.spac.org. Arkell Museum in Canajoharie re-opens for the season this Sunday, March 1 with an exhibition called “The Artist Revealed: Artist Portraits and Self-Portraits.” Works by Norman Rockwell, Milton Avery, Leonard Baskin, and others are included in this show. The exhibit explores both the artistic approach and the sitter’s characteristics in making these works of art memorable. For more information, visit http://www.arkellmuseum.org/upcoming-exhibitions. The Woodstock Byrdcliffe Guild is hosting an exhibition dedicated to works produced between 1903 and 1918, on view this weekend from Friday to Sunday at the Kleinart / James Center for the Arts on Tinker Street. The exhibit also includes artifacts and publications from the early 1900s. Saturday, February 28 at 7:30 p.m. Hélène Lesterlin will perform Overlook, a solo performance dedicated to the history of Woodstock. Friday at 7:30 p.m. there will be a screening of the “Art of House,” a documentary by Don Freeman exploring houses designed by twelve artists from all over the country. For more information about these events, visit http://www.woodstockguild.org/overlook.html. Still in Woodstock, the Center for Photography is hosting a workshop led by Greg Miller this Saturday, February 28. “Winter Wonders Photo Safari” is a one day excursion through the Catskill Mountains, exploring scenic areas around the Ashokan Reservoir, and other locations around Woodstock. Participants will learn how to make the most of their cameras and lenses. The workshop will end in the digital lab where images taken throughout the day will be reviewed. Miller is the author of “The Hudson River: A Great American Treasure” published by Rizzoli in 2008. For more information about this workshop, visit https://www.cpw.org/events/?ee=52. Bard College Conservatory Orchestra is performing this Sunday, March 1 at 3 p.m. a concert that includes Samuel Barber’s First Essay for Orchestra, Op. 12 written in 1937, as well as two premieres by Bard students. The program is conducted by Jeffrey Milarsky, an accomplished musician and conductor living in New York City. Milarsky teaches at Columbia University. For more information about the program, visit http://fishercenter.bard.edu/calendar/event.php?eid=128226. 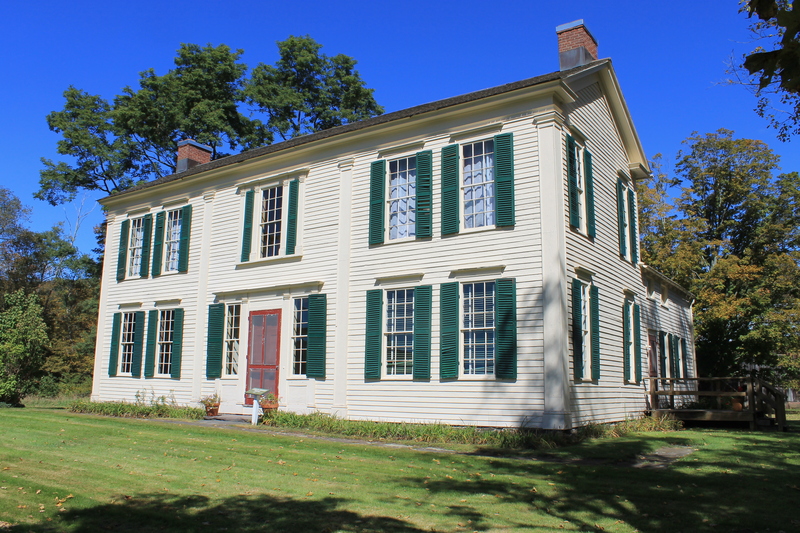 Built in 1797 in the Federal style, Frisbee House is home to the Delaware County HistoricalAssociation (DCHA) in Delhi, New York. Gideon Frisbee was a pioneer settler who moved to the area from Connecticut in 1788. Delaware County was founded by the New York State Legislature in 1797. Frisbee became a Judge, and the County Treasurer. Born in 1758, he died on August 11, 1828. Delaware County’s topography and remote location is what makes the region unique. 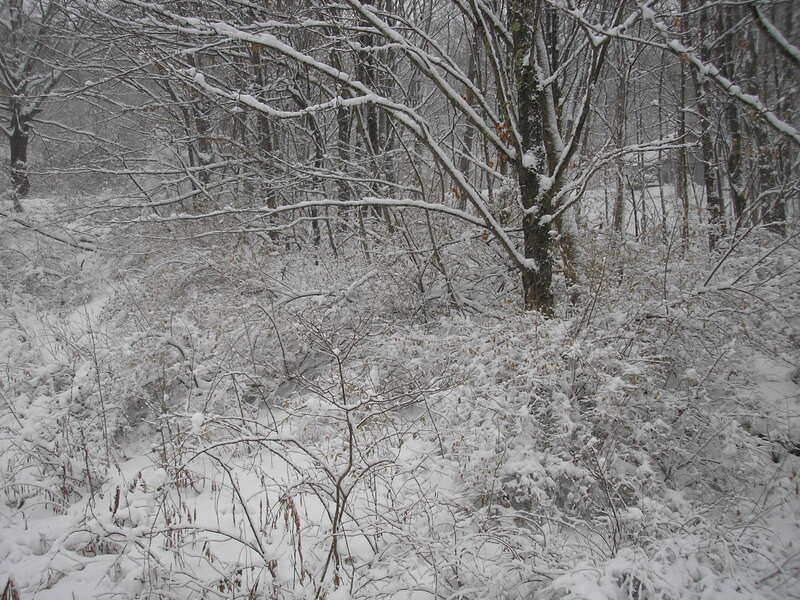 Native Americans used to hunt and fish in the woods and streams of what later became Delaware County. Permanent settlements were established after the Revolutionary War by Scottish and Irish immigrants. DCHA was founded in 1945. Its mission is to collect, preserve and present the history of the county. In the early 1960s the Association purchased the Frisbee farmstead. Additional buildings were acquired through the 1970s, and moved to their current location. An old schoolhouse and a blacksmith shop are among such buildings. The Frisbee complex is open to the public from Memorial Day to mid-October. Events, workshops, presentations, book signings, and other educational programs are organized year round. On March 6 DCHA will host “Hats Off: Notable Women of Delaware County” in honor of Women’s History Month. 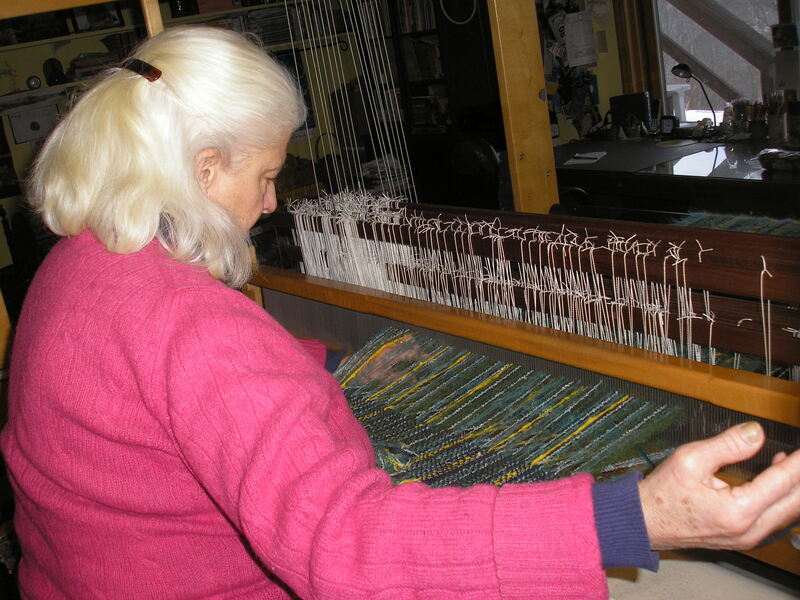 On March 21 Tabitha Gilmore-Barnes will be teaching her popular Introductory Weaving Workshop. On April 25 there will be a History Conference dedicated to the town’s historians and museums in Delaware County. On July 18 – 19 DCHA will host a Living History Exhibit and Civil War Re-Enactment that will include traditional cooking, period uniforms and dresses, cannons, and more. DCHA runs two exhibit galleries, the archives, the research library, as well as a bookstore and a gift shop. The galleries, the bookstore and the gift shop are open year round. We’re celebrating Valentine’s Day this weekend, leading into the Presidents’ Week – a traditionally good time for skiing in the Catskills. Roxbury Arts Group in Delaware County will celebrate Valentine’s Day this year with poetry and music. From 1 to 3 p.m. poets Rebecca Andre and Esther de Jong will be on site talking with visitors, and in response writing short poems for the posterity. From 4 to 7 p.m. Three Friends – Ed Marris and Franziska Rauch, accordion, and Jeanne Palmer, violin, will perform a free concert that will integrate a variety of styles. For more information, visit http://roxburyartsgroup.org. Catskill Art Society in Sullivan County is hosting an opening reception Friday, February 13 at 4 p.m. Piece Together for Peace exhibit features artworks by artist Cynthia Strunsky McLean. Designed as an interactive show, this program will engage viewers as curators as well. For more information, visit http://catskillartsociety.org. Cross Contemporary Art Gallery in Ulster County has on view works by five New York artists: John Berens, Jeffrey Bishop, Mike Cockrill, Jared Deery, and Shira Toren. A multi-media exhibit that includes paintings, drawings, and sculpture, Take 5 showcases a variety of styles and approaches. The common theme appears to be the attention paid to intimate details. The exhibit, which opened on February 7, will be on view through March 1. 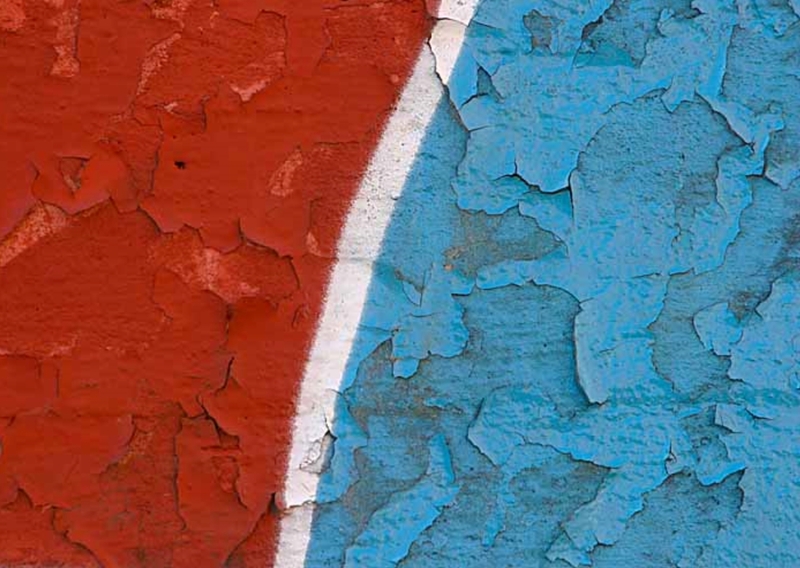 For more information, visit http://www.crosscontemporaryart.com. Olana mansion in Columbia County, the home of famed painter Frederic Edwin Church, is hosting Just Desserts: Coffee and Creations this Saturday, February 14 at 2 p.m. Artist Jill Obrig will be leading an acrylic painting workshop inspired by Jim Dine’s works. A painter, printmaker and illustrator, Dine is known for incorporating common objects in his work, and playing with color in an expressionistic manner; he is sometimes associated with the Neo-Dada movement. Just Desserts: Coffee and Creations is open to students of all levels – no prior painting experienced is needed. An assortment of desserts and hot beverages will be offered throughout the class. For more information, visit http://www.olana.org. The New York State Museum in Albany is hosting the annual Gem, Mineral and Fossil Show this weekend February 14 – 16, from 10 a.m. to 5 p.m. The show is organized in partnership with the New York Academy of Mineralogy and the Capital District Mineral Club, and features thirty exhibitors showcasing a variety of minerals, fossils, gems, jewelry, and other items. The New York State Museum has its own permanent collection of fossils and minerals. For more information about this show, visit http://www.nysm.nysed.gov/programs/minerals/. This weekend in the Catskills: several opening receptions, an Ice Harvest Festival, poetry, and more. 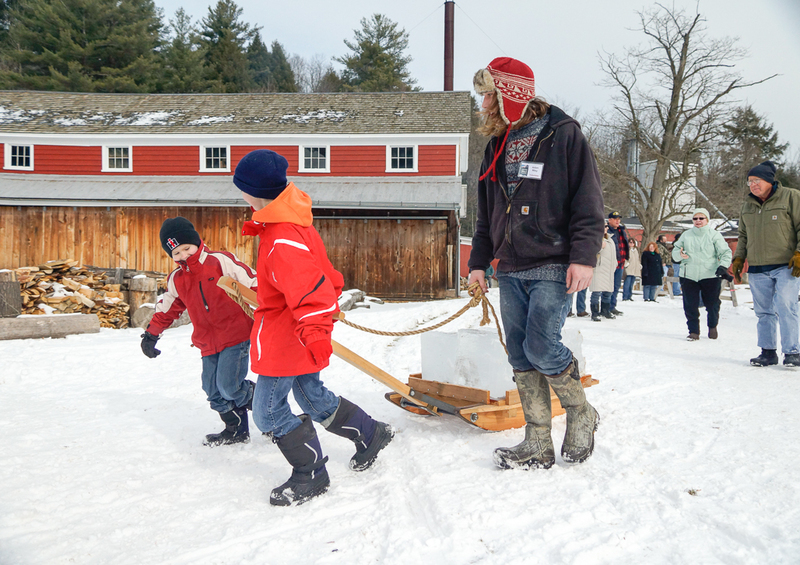 Hanford Mills Museum is hosting its traditional Ice Harvest Festival this Saturday, February 7 from 10 a.m. to 4 p.m. 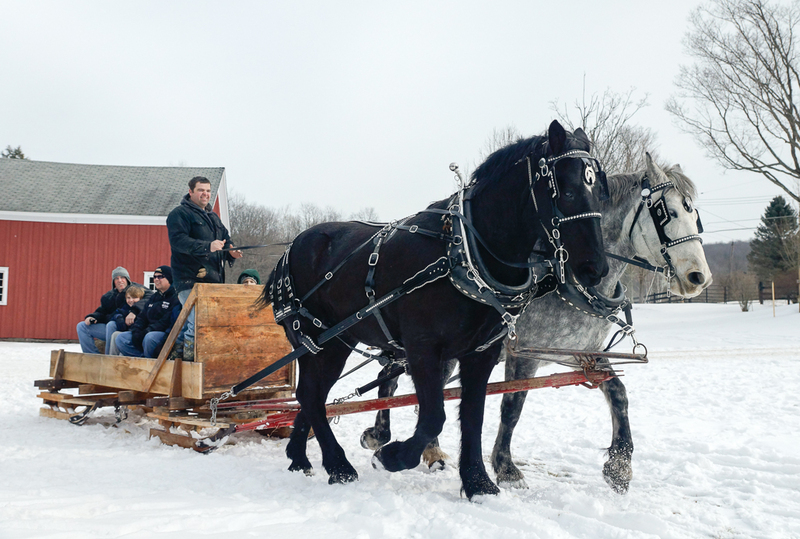 Visitors ride in horse-drawn sleighs and help with the removal of big blocks of ice from a frozen mill pond. Ice cleats are being lent to those willing to walk on the frozen pond. Skilled ice carvers using antique tools remove the ice that is then being kept in an ice house similar to those used before refrigeration. The ice is used to make ice cream on the Independence Day in July. Hanford Mills Museum is located in East Meredith, Delaware County, between Oneonta and Stamford along County Route 10. East Meredith grew as a rural, agricultural community, in and around the mill. Hanford Mills operated as a business from the 1840s to the 1960s. 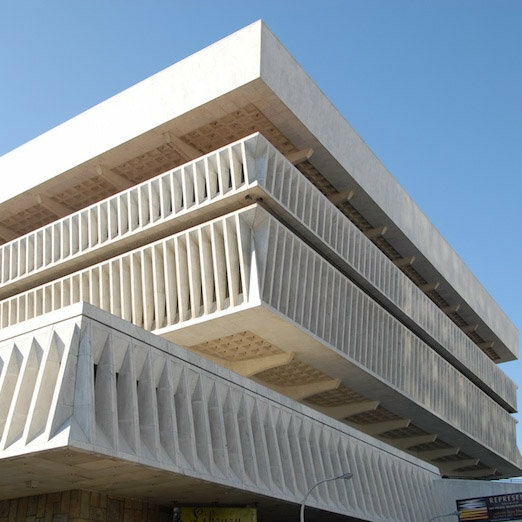 It became a museum in 1973 chartered by the New York State. There are sixteen buildings on the site, and around 50,000 objects and exhibits hosted in twelve buildings. 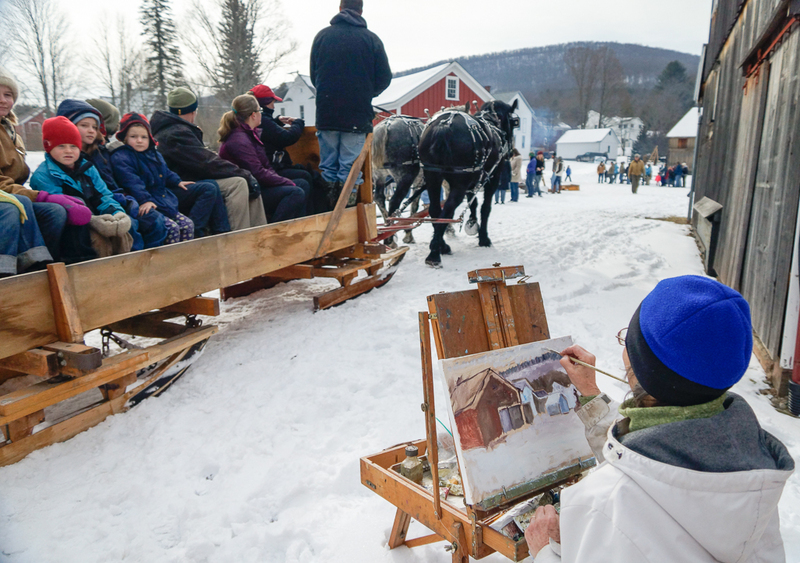 In addition to themed workshops and lectures, the museum hosts several festivals a year, including the Ice Harvest Festival, which traditionally takes place the first Saturday in February. For more information, visit https://artinthecatskills.com/2015/02/03/featured-destination-hanford-mills-museum/. Delaware County Historical Association, located at Frisbee House in Delhi, is hosting a Quilting Workshop this Saturday, February 7 from 10 a.m. to 3 p.m. Adults and children are welcome. Various machine and hand piecing techniques will be taught. Leslie Gray, the workshop leader, an experienced quilter and teacher, was inducted in the Catskill Mountain Quilters Hall of Fame in 2007. Delaware County Historical Association (DCHA) was founded in 1945. It purchased the Frisbee House in the 1960s. DCHA runs two exhibit galleries, the archives, the research library, as well as a bookstore and a gift shop. The galleries, the bookstore and the gift shop are open year round. Other historic buildings in the Frisbee complex, such as an old schoolhouse and an old blacksmith shop, are open from Memorial Day to mid-October. For more information, visit http://www.watershedpost.com/sponsored/2015/delaware-county-historical-association-offer-quilting-worksh. Woodstock Artists Association and Museum (WAAM) is hosting an opening reception this Saturday, February 7 from 4 to 6 p.m. showing new works completed by members over the past six months. The show is curated by Nancy Donskoj, owner of the Store Front Gallery in Kingston. Close to fifty artists are featured in this show, including Joan Barker, Nancy Campbell, Mary Katz, Anthony Margiotta, Wilma Miller, and many others. Founded in 1919, Woodstock Artists Association and Museum (WAAM) supports and showcases the works of local artists. Since 1973 the museum has maintained a permanent collection of the most important paintings, sculptures, prints, photographs, and other decorative objects that were created in the area. Highlights from this collection can be seen online at the Hudson River Valley Heritage’s website http://www.hrvh.org/cdm/landingpage/collection/hvvacc. Selected works are shown to the public through periodic exhibitions. A catalogue of over five hundred pieces called Woodstock’s Art Heritage: The Permanent Collection of the Woodstock Artists Association was published in 1987. The museum is open year round. In addition to its main gallery, which hosts group exhibitions, and the middle gallery, for solo artists, the museum has space devoted to children and student artists. For more information visit http://myemail.constantcontact.com/New-Shows-Opening-this-Saturday–February-7.html?soid=1101793785598&aid=4zxUUePE8tg. The Center for Photography at Woodstock is also hosting an opening reception this Saturday, February 7 from 5 to 7 p.m. Birds of a Feather exhibit features works by artist Claire Rosen portraying exotic birds captured outside their natural habitat. Various bird poses are used to mimic human gestures in an anthropomorphic attempt. The Center for Photography at Woodstock (CPW) was founded in 1977 to exhibit and support photographic art. CPW hosts exhibitions, and offers workshops and residencies to artists interested in photography. The center also publishes its own quarterly journal called Photography Quarterly (PQ), launched in 1979, and organizes a monthly salon for photographers. The salon is held on the second Tuesday of the month. Since 1980 CPW has maintained an extensive print collection, currently on loan to the Samuel Dorsky Museum of Art at SUNY New Paltz. For more information, visit http://www.cpw.org/upcoming/pr-claire-rosen/. Glaring Omissions Writers’ Group in Woodstock is hosting an Evening of Art and Poetry this Sunday, February 8 at 4 p.m. at the Golden Notebook Bookstore on Tinker Street. Poet Nicole Cooley will read from her works, and from a book by Salem Lessons illustrated by artist Maureen Cummins. The Glaring Omissions Writers’ Group was founded in 1990 by professional writers living in the Hudson Valley area. The group meets regularly, and provides critique and support for its members. Once a month it organizes public readings and other events. For more information, visit https://www.facebook.com/events/589113721232058/?ref=3&ref_newsfeed_story_type=regular. 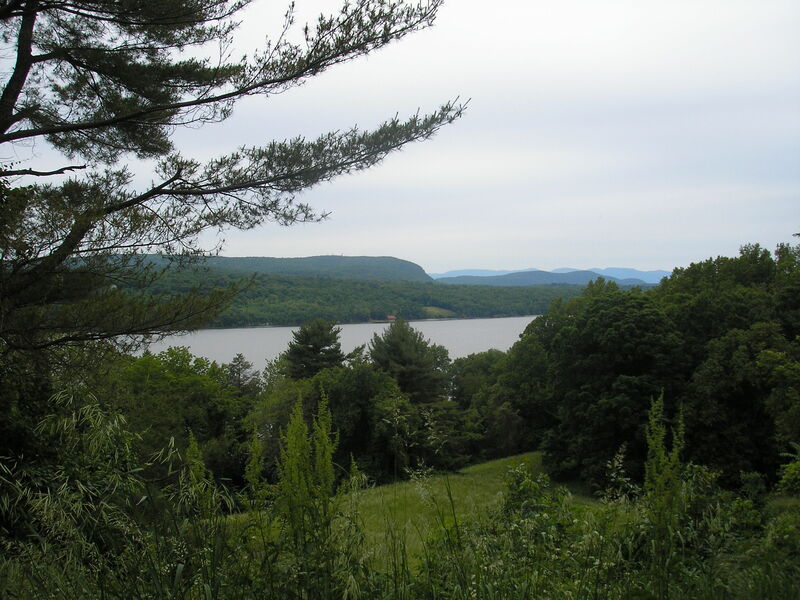 Enjoy a fabulous weekend in the Catskills! The Hanford family purchased the mill in East Meredith, Delaware County, in the 1860s, and developed the site into a vast rural complex. The mill, in existence since 1846, is one of the very few remaining 19th century original mills, and it’s listed on the State and National Registers of Historic Places. The museum, open from mid-May to mid-October and on special occasions, can be visited with tour guides, willing to demonstrate some of the machinery on display, such as waterwheels, sawmills, and woodworking tools. There are sixteen buildings on the site, and around 50,000 objects and exhibits hosted in twelve buildings. Exhibits include domestic tools and artifacts, historic photographs, and library and archival papers that document the history of the site. In addition to themed workshops and lectures, the museum also hosts several festivals a year, including the Ice Harvest Festival, which takes place the first Saturday in February. 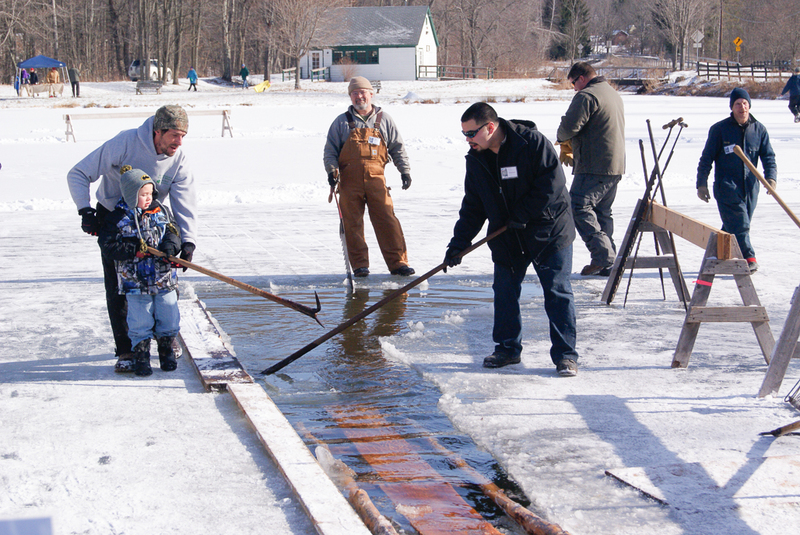 During the Ice Harvest Festival visitors, who ride in horse-drawn sleighs, can help with the removal of big blocks of ice from a frozen mill pond. Ice cleats are being lent to those willing to walk on the frozen pond. Skilled ice carvers using antique tools remove the ice that is then being kept in an ice house similar to those used before refrigeration. The ice is used to make ice cream on the Independence Day in July. 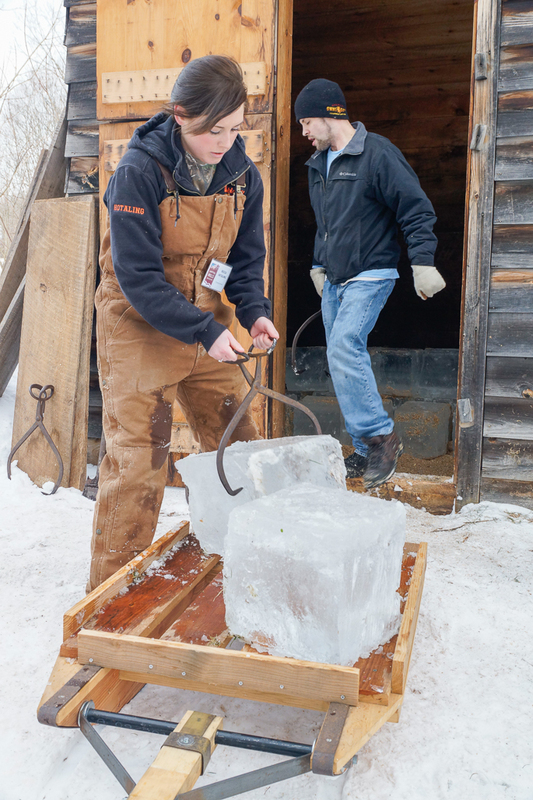 This year the Ice Harvest Festival takes place Saturday, February 7 from 10 a.m. to 4 p.m. I interviewed Liz Callahan, the museum’s executive director. Simona David: Liz, talk a little bit about Hanford Mills Museum – its history, mission, and programs. Liz Callahan: The museum is located in East Meredith, Delaware County, between Oneonta and Stamford along County Route 10. East Meredith grew as a rural, agricultural community, in and around the mill. The mill business was very important to the community in the late 1800s, early 1900s. Hanford Mills operated as a business from the 1840s to the 1960s. It became a museum in 1973 chartered by the New York State. The community has not changed a great deal since. We preserve and interpret this vast rural complex, which extends over seventy acres. SD: What historic buildings and objects do you have on site? LC: On ten acres we have about fifteen buildings that have always been part of this site. In addition to the mill buildings, we have several other buildings including the building where the tools were stored, the building where the lumber was stored, a horse barn, a hardware store, and one of the two original dairy barns. We also have the Hanford House, in its original condition. The Hanford House was built in 1910. Hanford Mills Museum is significant because it represents the mill complex in its interaction with commerce, the local economy, and the rural social life. This interaction existed in all rural communities around us. SD: Let’s talk a little bit about the Hanford House. Is it open to the public? LC: The Hanford House is open to the public. It was re-created as it would have appeared in the 1910s with many pieces that belonged to the Hanford family. The house has wallpaper that reflects the wallpaper of that period. The kitchen was restored, and brought back to its original condition. From the parlor to the dining-room to the kitchen and the bedrooms we have lots of authentic aspects of the Hanford family life, and also great diary entries and journal information about the activities of the residents. We use the Hanford House to talk about the social life and leisure time pursuits, as well as the food ways pertaining to that period of time. We actually use the kitchen to make treats following the Hanford family’s recipes that we have in our archives. SD: The museum is ordinarily open from May to October. What activities do take place at the museum during the summer? LC: The machines are powered by the water. We have a water wheel operating since 1926. We also have a water turbine, and a massive steamed power plant, re-created based on the original drawings. We talk about the power of water in all forms – liquid, through the water wheel and turbine, gas through the steamed power plant, and solid through the ice harvesting activities. We power the machines with water, and demonstrate all these activities. We generate power for over twenty machines at the mill. SD: Every year the first Saturday in February you host an Ice Harvest Festival which is becoming increasingly popular – just recently the Wall Street Journal listed the festival among top five winter festivals to attend in 2015, along with major events like Carnaval de Québec in Canada, and the Rondy in Alaska. When did this tradition start, and what triggered it? LC: We started the Ice Harvest Festival in 1989. We’re doing it in a traditional way – just as it was done in the late 1800s, early 1900s. We recreate this historic activity using historic tools and gear, and invite visitors to participate. We harvest 8 to 10 tons of ice from a frozen mill pond. Each block of ice weighs 50 to 60 pounds. We have many volunteers and staff on site to help. We’ve been doing this consistently for the past twenty-five years the first Saturday in February. There were a few years when we didn’t have enough ice – we called it “ice famine.” This year we anticipate the ice will be 18 inches thick. It’s an abundant year. SD: Let’s talk about the tradition of ice harvesting, and the significance of the ice house in communities prior to the invention of refrigeration in the early 1900s. LC: Ice harvesting was very important to farmers – the ice kept in the ice house could last up to six months, and help preserve farm and dairy products. Ice was harvested for personal consumption, but was also sold to the market. SD: Let’s talk specifically about the Ice Harvest Festival this Saturday, February 7. What activities will occur that day? LC: Today ice harvesting is a great learning experience. But we’re also trying to make it playful. Visitors are given a pair of ice cleats to walk on the frozen mill pond. They are shown how to use the historic ice harvesting tools, and cut blocks of ice. We have large horse-drawn sleighs to carry the ice to the ice house. The staff will load the ice into the ice house, and pile it to the top. The ice house is traditionally designed, and has proper ventilation, insulation and drainage to maintain the ice for at least six months. In addition to ice harvesting, we also added other activities that relate to ice and winter sports, such as ice fishing and ice sculpture. SD: What other activities will take place at the museum this Saturday? LC: Other activities include traditional parlor games, ice harvesting movies, blacksmith demonstrations, and a hot soup buffet. SD: Do you plan anything new for this summer when the museum re-opens? LC: This summer we’re planning an event that celebrates local community, ingenuity and innovation. The event will take place on May 30, when we re-open. More details will be revealed soon. Also, Independence Day is a big event. That’s when we make ice cream with ice harvested during the Ice Harvest Festival in February. SD: Is there anything else you would like to share? LC: Yes. The museum also has a YouTube Channel where visitors can go and see ice harvesting demonstrations and other activities that we have at the museum. Hanford Mills Museum is located at 51 County Highway 12 in East Meredith, Delaware County, New York. For more information, visit http://www.hanfordmills.org or call (607) 278-5744.